If you’re a merchant that’s thinking, “My margins are already razor thin. 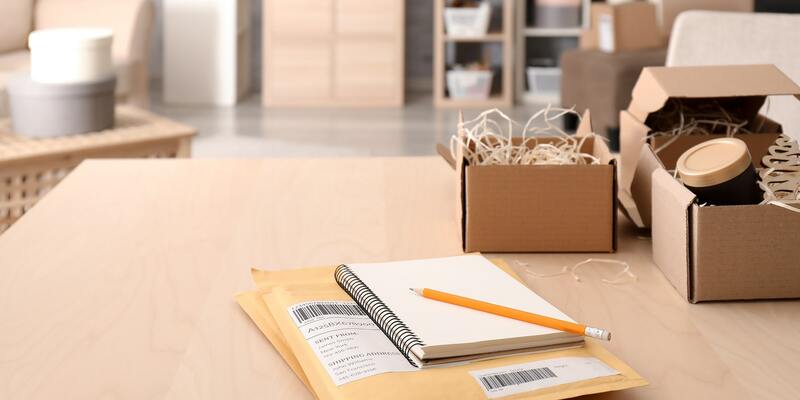 How am I supposed to make my customers’ every shipping wish come true and stay in business?” then this article is for you. There are plenty of ways you can mitigate the cost of delivery while keeping your customers coming back for more. Here are five ways for you to get started. You can give the people free shipping without actually swallowing the cost of it. For example, you can add the option to offer free shipping on most products in the store, but not for all of them. This can really help you out if certain products are extra expensive to ship out. Another thing you can do is incentivize fast shipping, like offering faster paid options alongside slower free options. You can also add a surcharge to free shipping or setting promotional thresholds to limit free shipping to customers who spend $X amount of money in your store. See our 6 best tips for offering free shipping without breaking the bank for more info. Instruct your pickers and packers to choose the smallest box size for each order. As often as possible, pack a single order into one box instead of breaking it into two or three shipments. You’ll save on shipping when using the smallest box size and shipping your order in the fewest cartons. Read our “Setup Dimensional Shipping/Box Packing” guide to find out more. There’s nothing worse than a product breaking during delivery. Be sure you’re packaging your products so that they aren’t damaged in transit. And get creative. Dutch bicycle manufacturer VanMoof put a picture of a TV right on their delivery box to convince carriers to handle their bikes with care. They found that one change decreased damaged shipments by 80%! Customers will remember a delightful unboxing experience. The VanMoof bicycle team got a lot of social media mileage from their clever shipping work-around. Get creative with your packaging. And hey, maybe they’ll even make unboxing videos around opening your products. Use packaging inserts to personalize your customers’ buying experience with a handwritten note from the packer. Or consider inserts that say things like “Packed with care by Fred,” so they see the face behind your company rather than just a collection of products out in the depths of the internet. You can, of course, also include an insert with the old marketing standby of offering a discount on the customer’s next purchase. Here’s an insider secret you probably didn’t know: your company could be entitled to refunds on late, lost or damaged packages. Carriers like UPS and FedEx both include late shipping refund guarantees for their services, even if they just barely miss the mark. Oftentimes, these guarantees are included with the price the merchant is paying at no additional cost. Unfortunately, most companies leave these refunds on the table. Oftentimes it’s because they don’t know about them, or because it’s too much to keep track of the exact moment of delivery with hundreds of packages going out daily. That’s where companies like 71lbs can help. Their services include tracking down these refunds for you, as well as negotiating contracts, finding carrier discounts and offering shipping insurance. All of which can lead to even bigger shipping savings for your business. Need help getting a handle on delivery costs? Sign up for a 30-day free trial of ShipperHQ. We’re here to help!